Every woman was once a little girl with dreams in her heart, a taste for adventure, and a thirst for the romantic. Sadly as time passes, experience often teaches a woman that these ideals are not reality, but merely a childish fantasy. Yet deep within her, she can still feel the restlessness of dreams and passions beckoning; a whisper that she is perhaps something more… If you are that woman, then this book is for you. 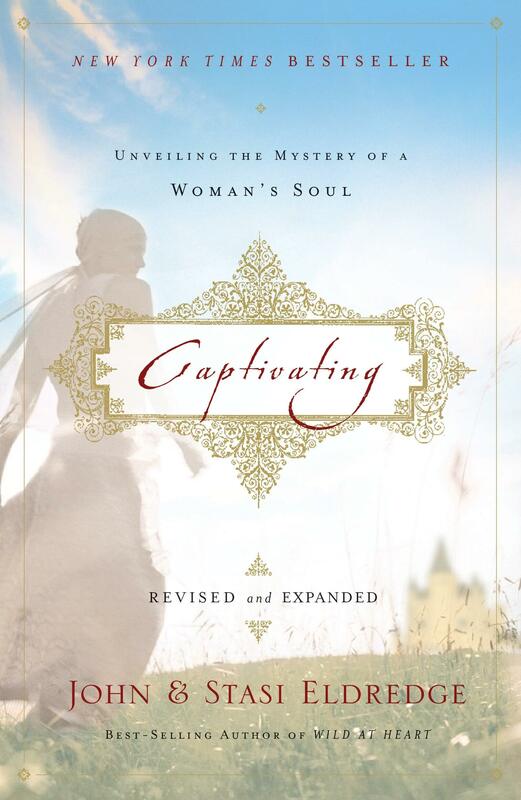 Captivating perfectly captures the heart of a woman the way God intended it to be. Woman was the crowning jewel of God’s creation: the final flourish to His grand masterpiece. Therefore there is much we can learn about God Himself in understanding how He created the heart of a woman to beat. Together the Eldredge’s explore the timeline of women through the ages; from the ramifications of fallen Eve and how they have affected every woman since, understanding the special hatred Satan has for women and uncovering his lies, women’s key role to play on this earth and the importance of what she has to give, to just how vital she is in God’s plan and purpose for relationships. To be honest, I do not like most books written for women. They are sappy and emotional, and seem to err too far on either side of the spectrum from conservative (“you can’t do anything”) to feminist (“you can do everything!”). John and Stasi Eldredge nail the fine line with this book. It was engaging, enlightening and challenging. They effectively unveil God’s plan and purpose for women in a way that is Biblically sound and can be easily applied to the every day. The writing style is gentle and approachable, but it still carries the weight of truth with clarity. Though I went into it with a good deal of scepticism, this was a book that, the more I read, the more I loved it. I can now see so clearly why it is of utmost importance for women to understand exactly who they are – who God intended them to be. As women, God did not create us to be cardboard cut-outs of what societal norms dictate to us, but to be living, breathing expressions of Himself: His strong, beautiful, captivating presence. I can think of no greater recommendation on how to grow more into the woman we were inexplicably designed to be than reading this book. Though it will be a fight, because the devil does not want us to come into the fullest capacity of what it means to be such a woman, we do not fight the battle alone. Your life is a Love Story set in the midst of a life-and-death battle. The beauty, the adventure, the intimacy – they are what are most real. But it is a battle to gain them and a battle to keep them. A battle for your own heart and a battle for the hearts around you. “The Lord is a warrior; the Lord is His name” (Ex. 15:3). Jesus fights on your behalf and behalf of those you love. He asks you to join Him.